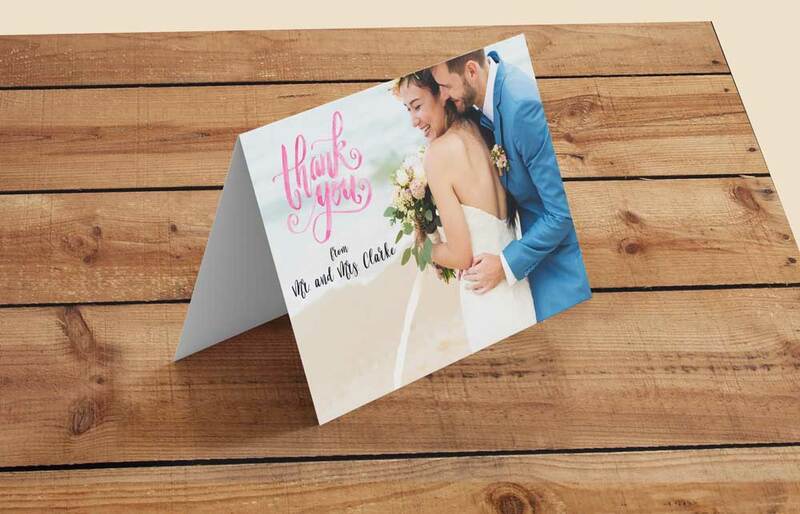 Custom Thank You Cards - made to order in any style you like. - Sizes: A5 folded to A6. Other sizes can be arranged. - We also provide white envelopes free of charge. It doesn’t get much closer to home than this. Everything is designed and printed in Ireland so everything is done in a timely manner to suit your needs. Wedding Invitations supplied to couples all over Ireland and abroad in a quick and friendly manner while meeting every need, no questions asked. Dedicated to wedding invitations in Ireland and having design studios in Dublin and Limerick, we provide a professional and friendly service at a wedding budget price to couples up and down the country. Having Wedding Invitations Ireland as our tag line we pride ourselves on providing for the needs of Irish couples and being so close by, we are in a position to prove our tag line of Wedding Invitations Ireland to be true by listening to the needs of Irish couples as well as understanding where they are coming from because we are Irish ourselves.